Content has long been the focus of every company when it comes to interaction with its existing clients, members & staff or to attract potentials through press & whitepaper releases, company brochures and marketing catalogs. With the changing trends in communication and marketing techniques, organizations all over the world have adapted to the new methods of promotion and brand market visibility. 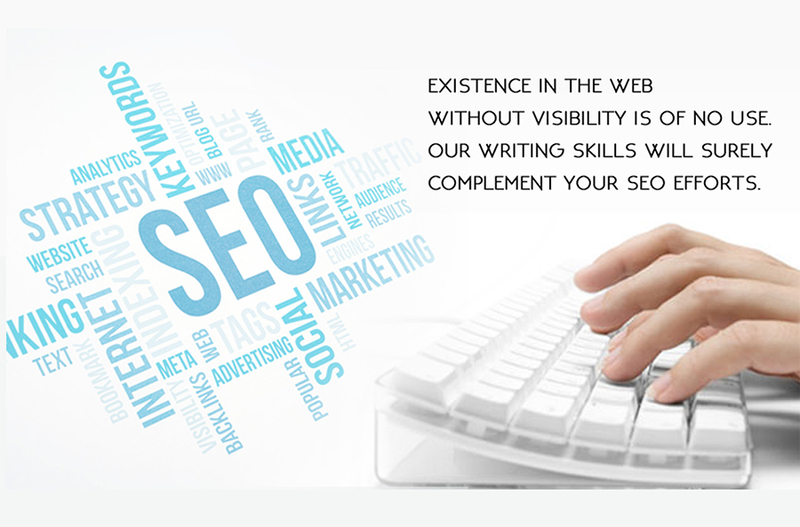 With Internet being used as the biggest tool to interact with clientele on a regular basis, need of quality content and efficient writers has been increased widely. More & more companies after realizing the power of online promotion have chosen professional copy writers to sound different to its customers. With millions of websites to choose from, you have a very fair chance of a matter of seconds to either impress your potential or bore him away, and quality content is one of the best ways to ensure maximum exposure on the World Wide Web. “Once, CEOs of two giant fortune 500 corporations were having lunch together when one of them asked. Why do you spend so much on training every month? What if people you train leave the company? Won’t it be a big loss to you? Management at E Virtual Services understands the value & importance, regular training holds in the growth of each individual and hence the company. Our participation in different seminars, webinars, conventions and training programs round the year ensures usage of the most updated information and constant growth of our writers.